Vet Hut have their third EP – “Mot en säker död” (Towards a certain death) out now on Heptown Records. It is fast rock n roll punk music with strong lyrics and high energy power. The EP is recorded in the famous Tambourine Studio in Malmö with Christopher Domique as recording producer and Jens Andersson from the band The Ark behind the mix and master desk. Vet Hut has during the years they have been active played on lots of places in southern Sweden as; and also at the Malmö Opera on the premiere night of American Idiot by Green Day. Vet Hut has been on stage together with a lot of Swedish famous punk band like, Charta 77, Lastkaj 14, Vånna Inget, Kamelritt and Ragata. 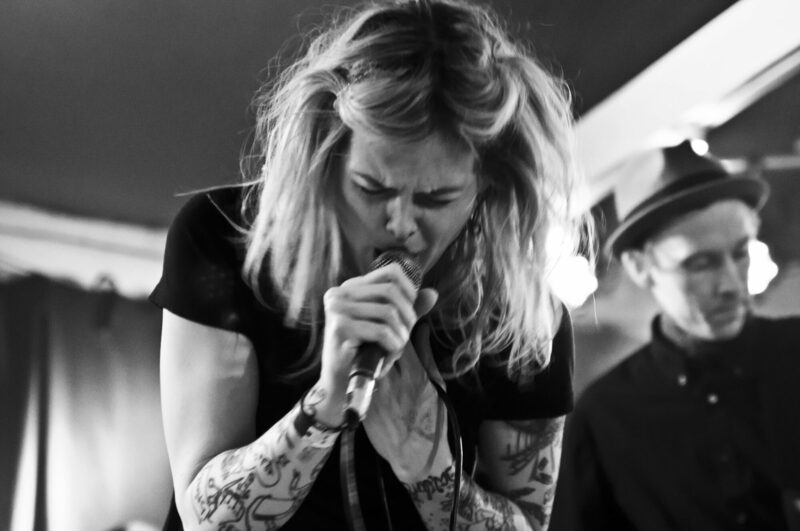 Ragats singer Anna has also been on guest vocals on the song “Döda dig” (Kill you). The Video for the song Döda dig was on top of the chart of musikvideotoppen.se for eight weeks. There will also be a third release of a video from this EP. The song “Lyssna inte på nåt jävla skit” (Dont listen to any crap). When a local newspaper did a review of a concert with Vet Hut, they said; “Its lika a wonderful fist in the stomach” That is what this EP is all about!